Medium Term Loans: These offer a much larger investment to start your business from the ground up with a significant infusion of marketing awareness. Lighter Capital: Innovative business financing without giving up equity, board seats, or personal guarantees. Kickstarter Entrepreneurship-minded platform. Backers contribute to projects with a deliverable reward. You can, on many levels, view Kickstarter as a pre-sales mechanism. Indegogo Similar to kickstarter, but provides you with an opportunity to choose between receiving funding as it comes in or waiting to see if you hit your target. Long Term Loans: These are the sort of loans an entire business model is built around. They will be the largest available investment of cash and will determine the course of a business over years. Nonetheless, the largest return on investment is still to allocate as much as possible from one of these loans into an effective marketing budget. SBA.gov Free business counseling and resources, including referrals to brick and mortar community lending options, which are slower but more personal. 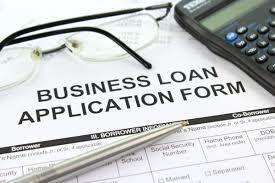 SmartBiz: Online lender offering instant decisions on SBA loans up to $300,000. Matchmakers: Platforms where you can compare and contrast business finance offers with a single application. Lendio Free and simple lending marketplace with access to 75+ business lenders. Fundera Safe, friendly, and free way to find your lowest rates on small business loans, guaranteed. Business Credit Resources: If you don’t have the credit to get the loan you want, check out some of the options below. Business and personal credit are related, but different. Nav.com: Subscription based site that monitors personal and business credit scores. Calculates a SBSS score, used to qualify for the SBA Loan. Experian Business Credit: The top business credit bureau. Make sure your information is correct. Home » Blog » Can I Finance my Marketing Campaign?